Just got back from a weekend at the Space Gathering, 3 hrs from Montreal. 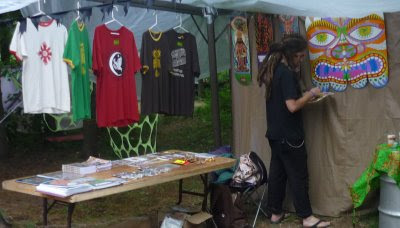 I had a booth there for my art products and also did some Live Painting. The party was pretty mellow but good vibes and the most awesome nature setting by a beautiful waterfall. I feel so healed. Tomorrow I hang my show in Ottawa. The people at Norml also have a ticket of STP for me. Should be fun!